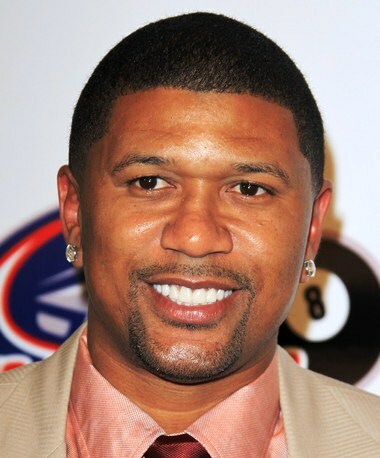 EURweb is reporting that former basketball star and ESPN commentator Jalen Rose has been released from jail after serving 16 days for a DUI conviction. The Oakland County Sheriff's Department in California tells the Associated Press that Rose was released early Thursday from the jail in Pontiac. He reported to jail Aug. 2 to begin a 20-day sentence from a judge who's known for tough punishments, according to the Chicago Tribune. Rose crashed his sports utility vehicle in March after drinking six large martinis. The 38-year-old pleaded guilty in May. After his release just after midnight, Rose tweeted: "Back on the block & the grind continues … Live. Love. Learn. & Leave a Legacy–THANKS to EVERYONE for the prayers & well wishes." We're glad to see Rose have such a positive attitude about his future and his acknowledgment that he learned something from the incident. For those who said that he was punished more harshly because he's a celebrity — this is true. But the real value in this experience is that someone, including him, will think twice before drinking and driving again. In other news: Georgia Cop Shoots, Kills Unarmed Man.